UPDATE: Star Wars 8 finally revealed its official title! 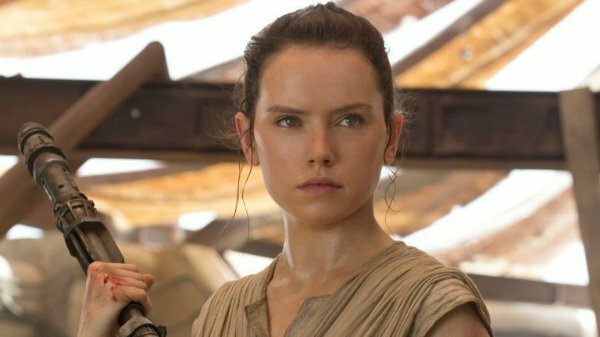 Click Ma href=http://www.cinemablend.com/news/1615820/star-wars-8-has-a-title-and-its-awesome>here to find out what it is! Now that we’ve been completely through a new Star Wars movie, from pre-production through release, we have a pretty good idea of how things will work for Star Wars: Episode VIII. This means that one of the next major pieces of official information that we’re likely in store for is the actual title. Now, right on schedule, a couple of rumored titles have surfaced and...well, one of them could work. We’re sure that we’ll hear many rumors for titles between now and whenever we actually hear the official announcement, however, the first two are now out and they come from very different sources. The first one, courtesy of the mass of humanity that is Reddit, is that the title will be Star Wars: Tale of the Jedi Temple. We’ll apparently know if this title is legit fairly soon as the source claims it will be revealed as part of May the Fourth, the annual official/unofficial Star Wars Day. The second title comes from a Croatian Star Wars fan site. They claim the title will be Star Wars: The Order of the Dark Side. If we had to pick one of these, we’d have to go with The Order of the Dark Side. The other just feels way too dull. None of the other Star Wars titles gave us a tale or a story. Most of them have actual verbs in them, where something happens. The Empire Strikes Back. Attack of the Clones. There’s just nothing going on in The Tale of the Jedi Temple. Oh, you’re going to tell me a story as I fall asleep? Let me get my hot cocoa. It honestly would make more sense as the title of a tie-in children’s book. At least The Order of the Dark Side feels like a Star Wars title. It’s got some meat on it, like The Phantom Menace or Revenge of the Sith. It still doesn’t make a lot of sense, though. Star Wars: The Force Awakens set up The First Order as an organization that, while it contained Kylo Ren, was mostly focused on non-Force-related military functions. Supreme Leader Snoke and Kylo Ren were part of the Dark Side, but General Hux, as far as we know, was not. Whatever Kylo and the Knights of Ren have cooking in Episode VIII may be much bigger than anything we saw in The Force Awakens, but calling it an Order seems odd since we already have one of those. Even if both of these are real titles under consideration there’s no guarantee that either of them has been chosen, or even that any title has been chosen yet. We didn’t learn about Star Wars: The Force Awakens title until the end of principal photography, and if Episode VIII follows suit, that means it will be months before we hear anything official. Do you like either of these choices? Why, or why not?